add a free personalised gift note? (if yes, type message below) ensure spelling is correct as this will be copied & pasted. Our rainbow-tastic tote is perfect for any knitter. Show off your knitting pride with this fantastic tote, and you'll knot want to use any other! 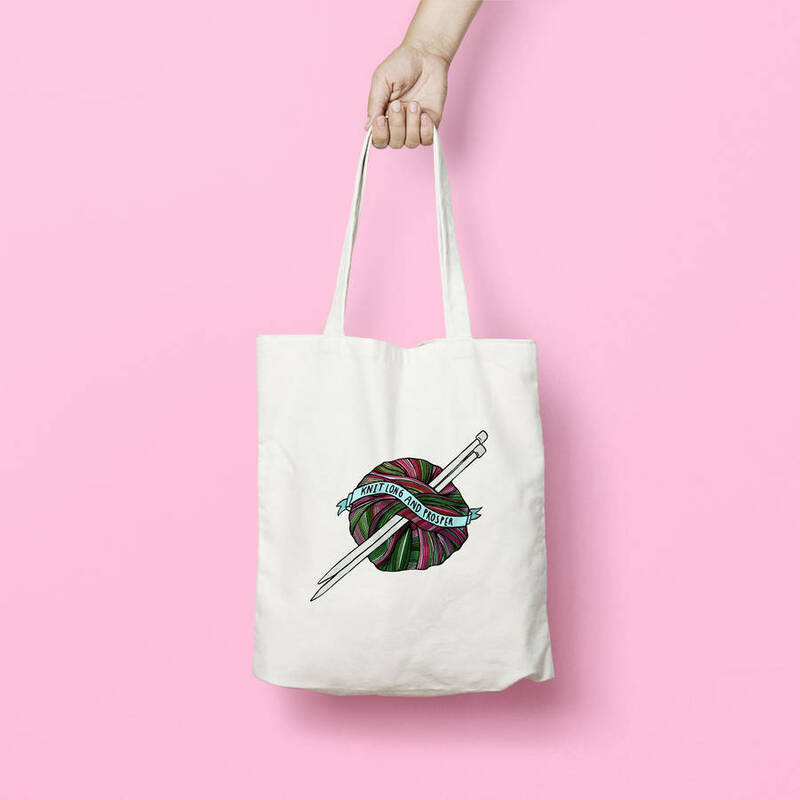 Whether you're just starting to knit or crochet, or maybe you've mastered all those pesky stitches, either way our colourful tote is a great way to promote your yarn skills! It has been illustrated with fine inks and digitally coloured, giving it a bright and bold finish making it perfect for everyday use. It's a fantastic way to treat yourself or as a little something for that someone special (remember to fill it with yarn!). We also make sure that our totes are as eco friendly as we can, and a tote is a great way to be greener. 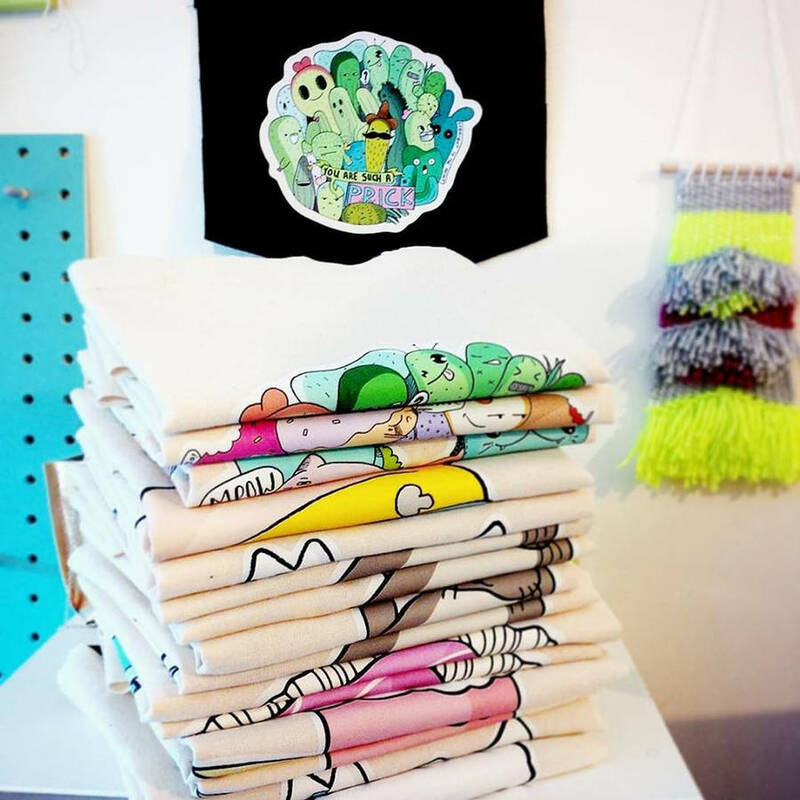 All our totes are made from 100% Natural cotton, with a fabric weight of 170 gsm. As we try to promote greener products, we make sure that all our tote are unbleached and un-dyed, so there won't be any harsh chemicals used on them. 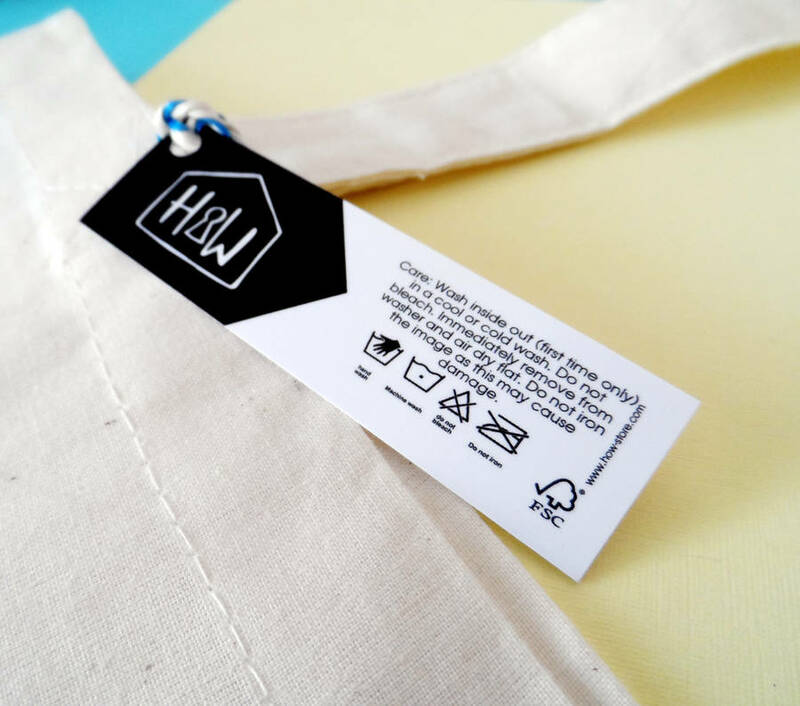 All of our totes come with a care label tag (printed on FSC approved silk coated cardstock) to help ensure you get the most out of your enviroment saving bag! We also offer a 100% cotton drawstring bag as a gift wrapping option for an additional fee. Wash inside out (first time only) in a cool or cold wash. Do not bleach. Immediately remover from washer and air dry flat. Do not iron the image as this may cause damage. Approx size 42cm(h) x 38cm(w) with two long handles. This product is dispatched to you by House Of Wonderland.